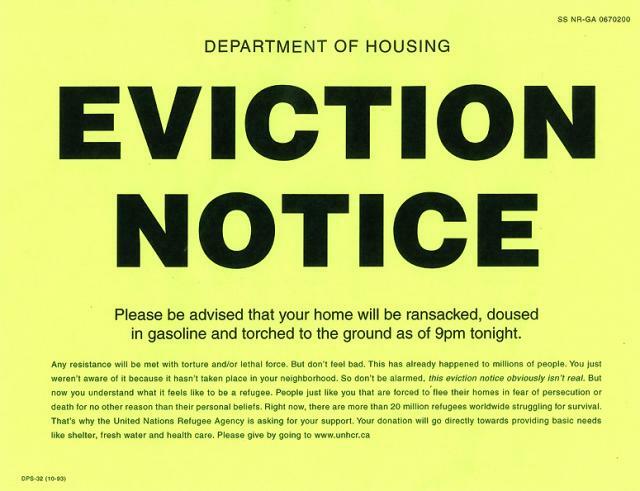 Another weird attempt to infect people is making the rounds, this time claiming that you have been evicted. Now, I don’t rent, but I would assume that if my landlord was evicting me that he would tell me to my face, send a legal notice in the mail or in person. This email will come with an attachment that you are supposed to panic and open. Please be advised that you are obliged to vacate the living space you occupy until March 28, 2014, 11 a.m. If you do not vacate it in the specified terms, the court will have to assign the forcible eviction for April 5, 2014, 11 a.m. If nobody is home we will not be responsible for safe keeping of your belongings. Besides, if you fail to comply with the requirements of the court bailiff you will be fined for up to 200 minimum wage amounts with a subsequent doubling of the penalty amount and can be made criminally or administratively liable. The details of the circumstances that caused the judicial decision of eviction are attached herewith. As always, there are a few different versions of this email and usually more variations will show up if this one is successful. The bottom line, as always, is don’t open email attachments.